Bring your MINI in and let our highly trained technicians assist you with any issues you might be experiencing. Whether you just need an oil change, a diagnostic, or any other service. We’ll be happy to assist you. We hope you can find everything you need. AutoImports of Denver is focused on providing high-quality service and customer satisfaction – we will do everything we can to meet your expectations. AutoImports of Denver, an independent repair and service shop open in Denver, CO is the trusted choice for Coloradans who expect the highest quality MINI Cooper service and repair. We are factory trained and have over 34 years of experience. At AutoImports of Denver, our goal is to create “Customers for Life” by serving our clients. From simple repairs and maintenance, to the heavy diagnosis/repair. Our technicians have graduated from top automotive technical schools around the country and continue our training year-round of the vehicles we service. This has given them the knowledge and skills to repair your vehicle correctly. If you have any questions or concerns regarding your MINI, please don’t hesitate to contact us. 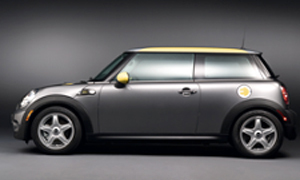 At AutoImports of Denver, we work exclusively on all MINI models, new or old. With today’s technologically advanced vehicles, you need specialists to keep them operating at their best. Trust your MINI to AutoImports of Denver for your next scheduled service or repair.